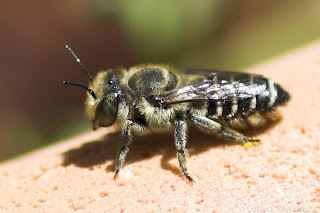 Megachile rotundata, the alfalfa leafcutter bee or lucerne leafcutter bee is a European bee that has been introduced to other regions. 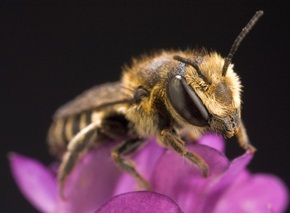 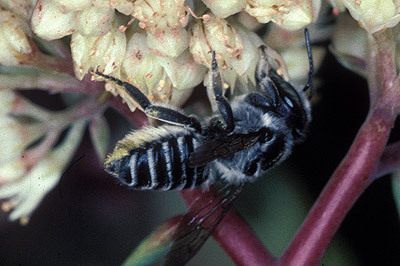 As a solitary bee species, it does not build colonies or store honey, but is a very efficient pollinator of alfalfa, carrots and some other vegetables.bIn North America, the species was deliberately imported to assist in the pollination of food crops, but has now become feral and widespread. 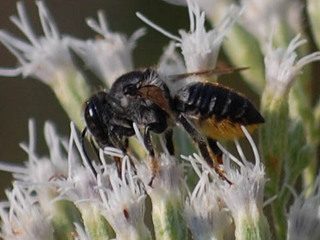 In New Zealand and Australia, it was also introduced to assist in the pollination of alfalfa.